ESHOWE – romantics claim the name came from the sound of the wind blowing through the Dhlinza Forest but the name probably came from the Zulu name for the milkwood shrub (Showe), which abounds in the area. The little town of Eshowe came into being around 1860 when Cetshwayo built a kraal in the area. A year later the Norwegian missionary, Reverend Ommund Ofterbro, gained permission from Cetswayo to build a mission in the area, making Eshowe the oldest town of European settlement in Zululand. The inhabitants led a peaceful life until the Anglo-Zulu war of 1879 brought the British to Eshowe. Harried by the Zulu’s, the British army, led by Colonel Charles Pearson, arrived at Kwa-Mondi Mission Station, which was then hurriedly fortified and renamed Fort Ekowe. After the war a town grew up round the Fort and Eshowe became the colonial capital of Zululand. Eshowe is surrounded by natural forests, sugar plantations and orchards. Situated on a plateau Eshowe has a more temperate climate than the surrounding areas. Summer days are cooler than at the coast and it does not suffer from the subtropical humidity found lower down. The winter days are warm with slightly chilly evenings and nights. 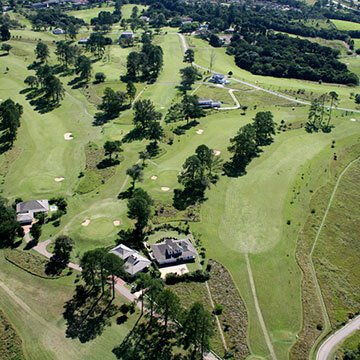 In this picturesque little town a group of dedicated locals decided to save their golf course and the surrounding environment by building a housing estate and the Eshowe Hills Eco Golf Estate came into being, an exciting new project for buyers looking for property for sale in Eshowe. The entire estate covers an area of 110 hectares of which only 20% will be developed. The architectural design of the estate is Victorian Zululand, as this classic design is appropriate for the climate and surrounds. The designs incorporate cool verandas with large overhanging eaves perfect for a relaxing sojourn looking over the peaceful surroundings. Cool exterior colours and tiled roofs blend effortlessly into the scenery. These sought after properties for sale in Eshowe are perfect for retirement, weekend cottages and for anyone who wants to get away from the hectic pace that life throws at us.